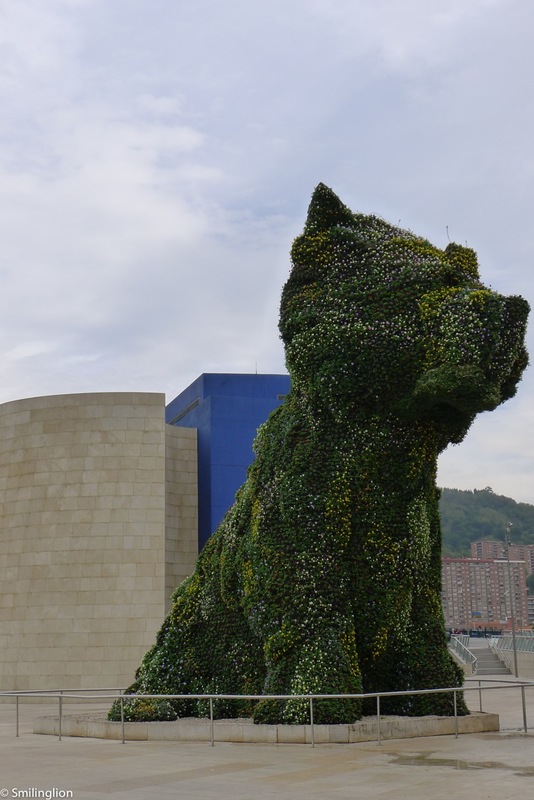 Deep in the heart of Basque Country is its largest city, Bilbao. 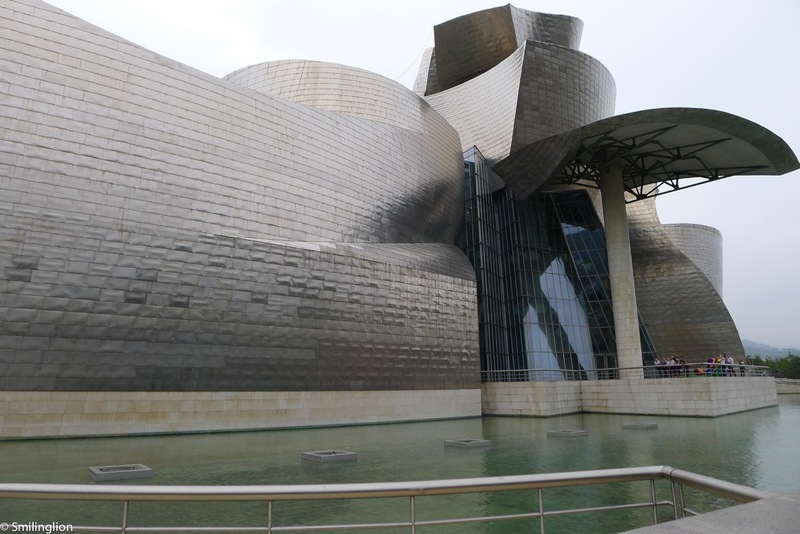 An hour's drive from San Sebastian, our day trip to this bustling town was centered around a visit to the world famous Guggenheim Museum. An impressive metallic structure by the riverside, we were quite disappointed by its content as there were few permanent exhibits and several floors were closed for reinstallation, with the exception of an exhibition of the paintings of Austrian artist, Egon Schiele which was both very interesting yet disturbing (for the pedophiliac reflections in some of his works). 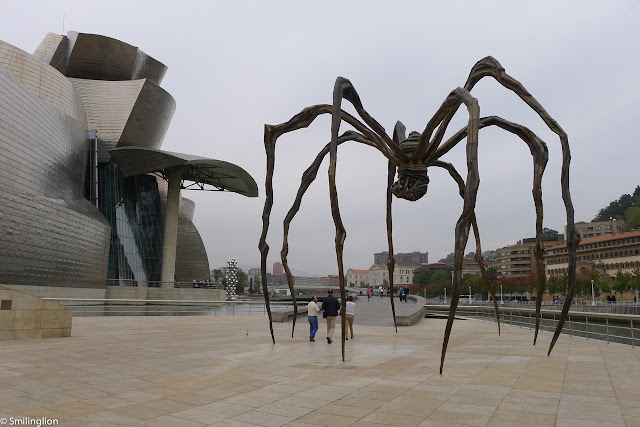 However, it was a pleasant walk outside the museum along the river and the many large sculptures and installations. 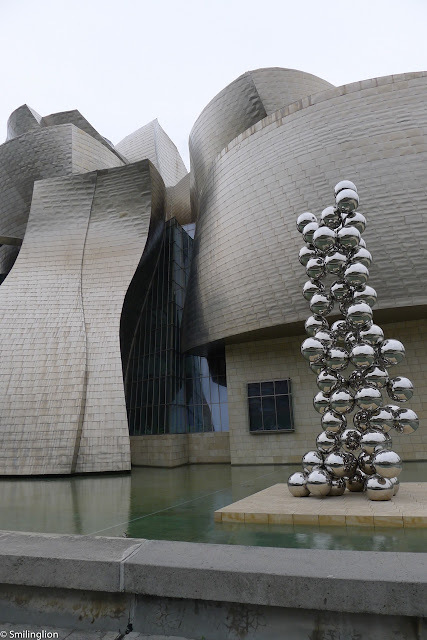 Just around the corner from the Spider sculpture was Nerua, a newly-awarded one Michelin star restaurant of young chef Josean Alija (unfortunately we did not get to meet him as he was in San Sebastian probably attending the Gastronomika). 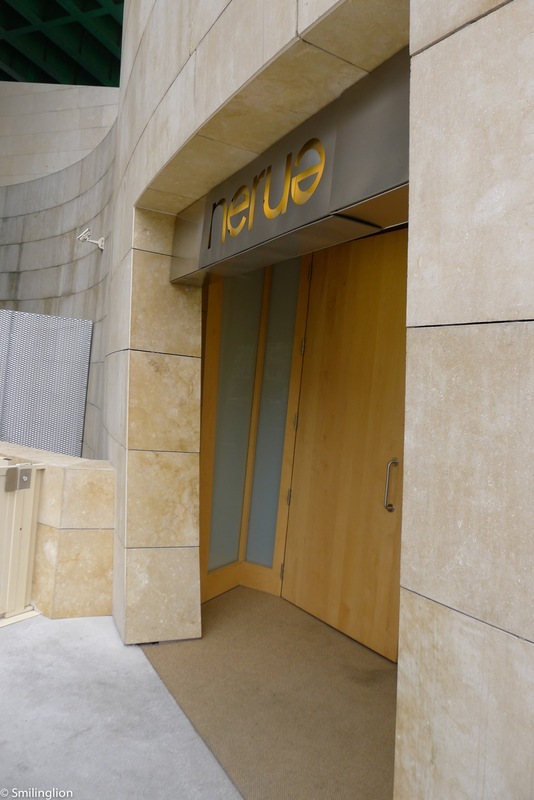 The approach of Nerua in welcoming guests was novel. The main door led guests directly into the open-concept kitchen, where the chefs were hard at work. We were greeted by the Maitre'D and some of the kitchen staff, who very politely introduced the restaurant and offered to show us around. 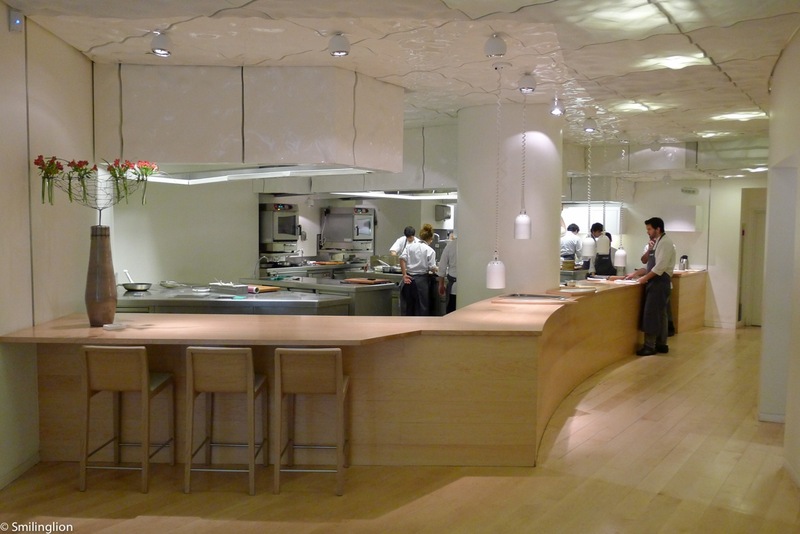 The dining room was cave-like in its circularity, and each table was well-spaced around the circumference of the room, which had the effect of focusing the sight of each diner towards the middle of the room from where the servers would converge from the kitchen before serving each course. 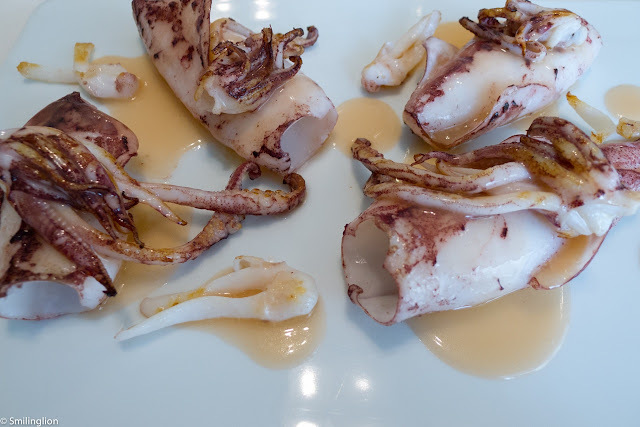 For lunch, we decided to go easy on ourselves in light of our upcoming dinner at Martin Berasategui that night and picked a few recommended items from the a la carte menu. The young service staff members impressed us with a good mix of enthusiasm and knowledge of the food, and we also thought that the wines they picked for us were very appropriate. 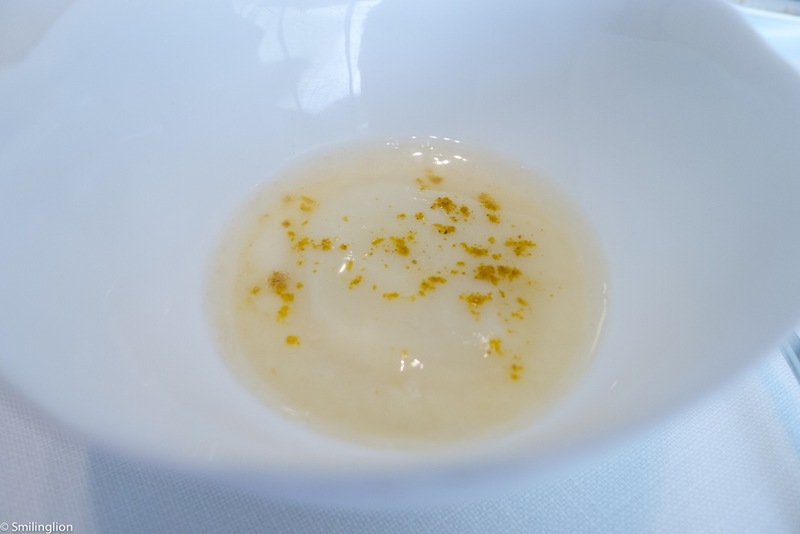 The amuse bouche were quite simple and the gooey soup in particular perplexed us. 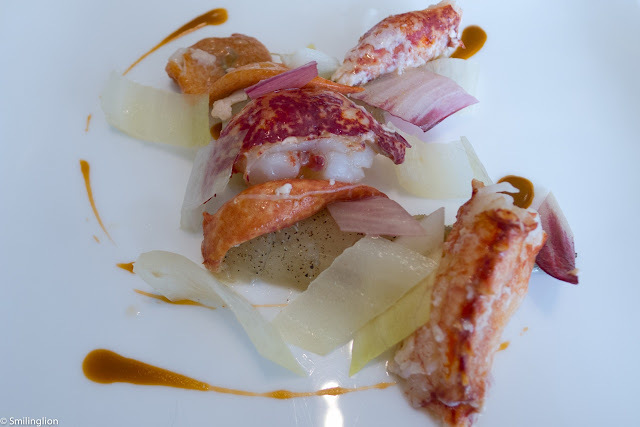 Lobster, candied endives and leaves with a citrus and eucalyptus dressing: This was a very well-balanced dish, comprising of generous amounts of poached lobster, caramalised endives and a slightly tangy sauce which all combined very well together. Candied baby squid, toasted vegetable broth: The title of this dish was misleading. We were surprised by the size of the 'baby' squid. 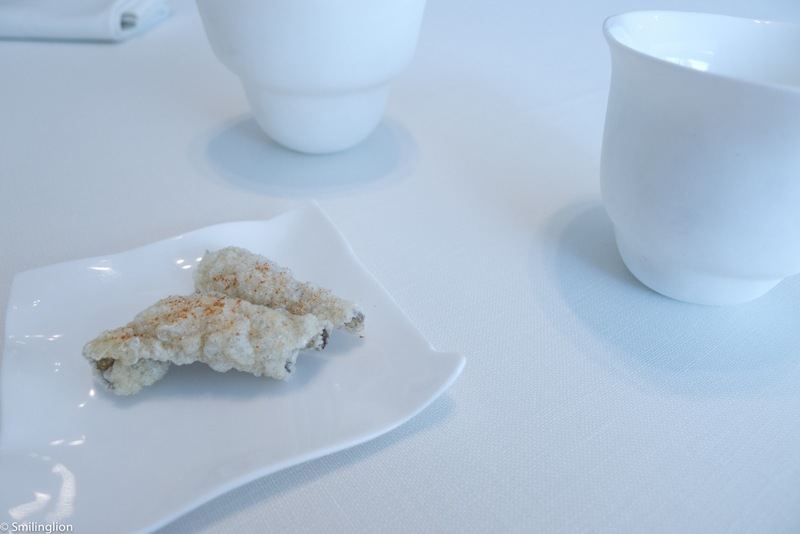 It was a stunning dish in its simplicity and execution. It was delicious. 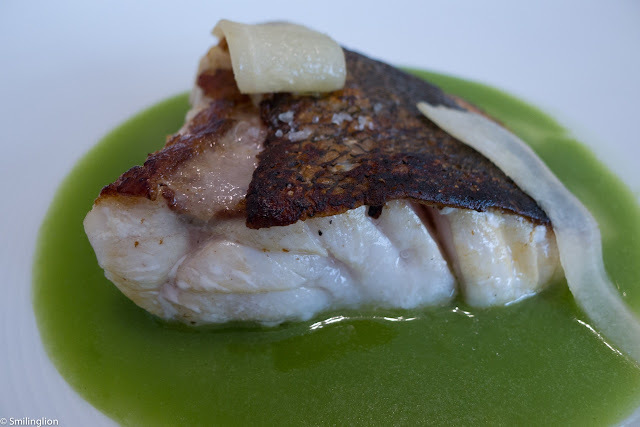 Sea bass, watercress, black olive: A very competent dish, the fish was accompanied by a slightly bitter broth which served to better bring out the flavours of the sea bass. 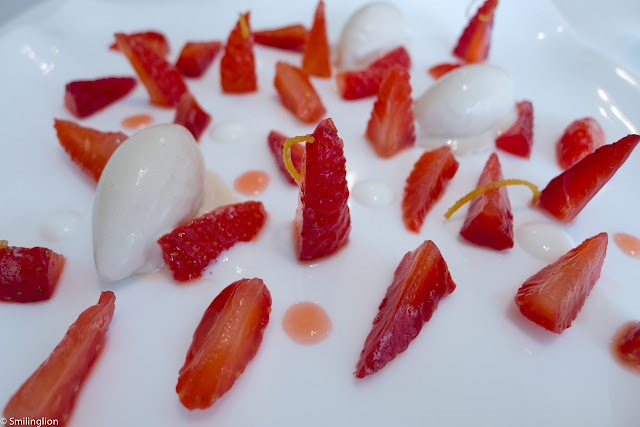 Strawberries, black tea ice cream and kafir: A simple and slightly underwhelming dish which was more appropriate as a pre-dessert than a main dessert. 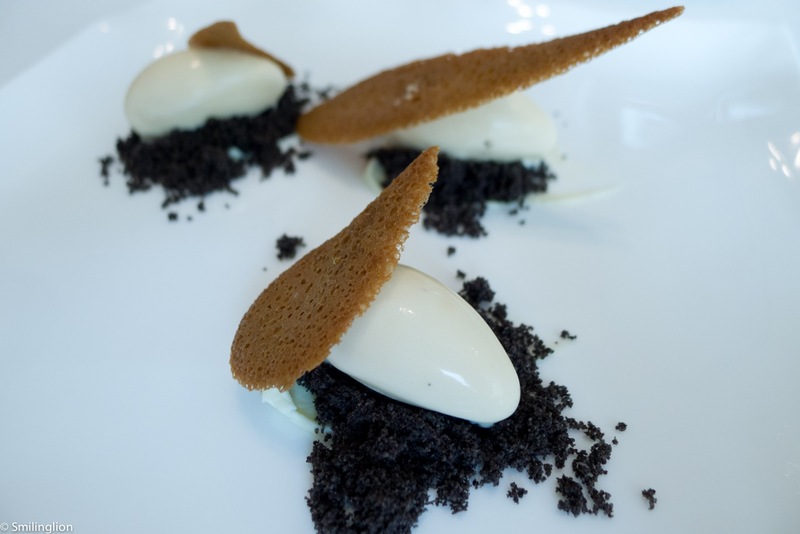 Black olive ashes, on a casein of aromatic herbs and licorice (makil goxo) ice cream: One of our favourite desserts of this trip, it was a very clever concoction with the unusual flavours of black olives and licorice made into a dessert. 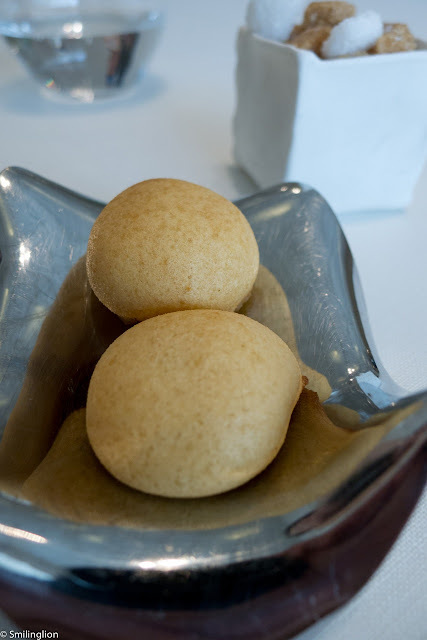 We finished off with coffee and some forgettable mignardises, still buzzing from the high of the black olive dessert. 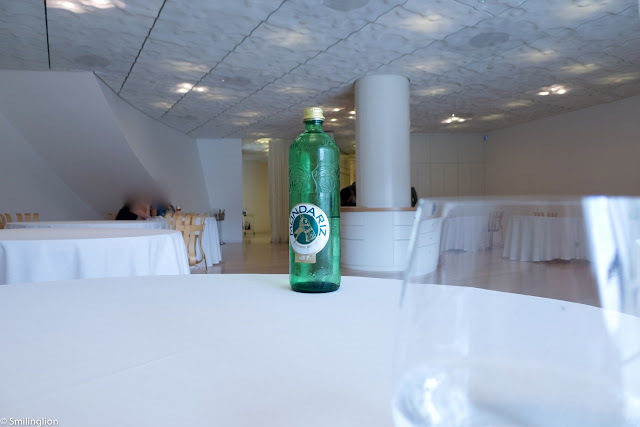 Final Thoughts: It was a light and enjoyable lunch made possible by excellent and friendly service, a comfortable dining room and well-executed food. We were impressed by the chef's use of unique flavours in its otherwise simple and uncomplicated cooking.